The season for bachelorette parties in the gorgeous Arizona desert is just around the corner. The amazing fall, winter, and spring weather paired with theVegas-style night life and spring training games brings everyone from near and far, making Scottsdale a go-to destination to celebrate with your girl squad. Now mix that perfect location with a trendy theme, and the combo might make for the best bachelorette party ever… and in this case, a tropical bachelorette party to be exact! 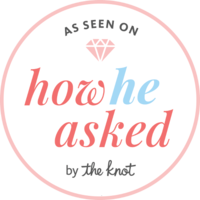 Recently, a groom reached out to me because his fiance was going to be in Scottsdale for her bachelorette party. He wanted me to spend the day with the girls to capture all of the fun. Having a photographer show up was a total surprise for the bride! What a thoughtful groom – am I right, ladies? When I showed up that Saturday morning the bride was shocked! She burst into happy tears and it was just the sweetest moment. It turns out, I was also in for a surprise. I expected to just take photos of the girls partying, but instead I walked into a picture perfect bachelorette set up. The bride’s besties decked out the Airbnb rental with girly, tropical themed decor. And it was AMAZING! From a the flamingo beer bong and mid-day taco bell delivery, to the custom wrist tattoos and Beyonce lyric center pieces… the entire party was total #BacheloretteWeekend Goals! Hanging out with this girl squad turned out to be one of the most fun sessions I’ve had the opportunity to be a part of.